EAU CLAIRE, Wis. - The Forester womens hockey team needed an extra period to decide both of its Northern Collegiate Hockey Association road games over the weekend (January 20-21). Lake Forest fell 2-1 in overtime at UW-River Falls Saturday afternoon and skated to a 3-3 tie at UW-Eau Claire Sunday evening. The Foresters are now 7-4-4 overall this season and 2-2-3 in NCHA play. Saturdays contest was scoreless until the 16:44 mark of the second period when junior Laura Wilson (Corunna, Ont./Sarnia Sting) converted a power play opportunity for the visitors. She was assisted by senior Katie Snowden (Toronto, Ont./Willowdale Redwings) and junior Courtney DeHoey (Chatham, Ont./Bluewater Jr. Hawks). The Falcons tied the game with a power play goal of their own at the 7:21 mark of the third period and then scored the game winner with 1:56 remaining in the 5-minute overtime. 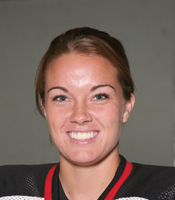 Forester senior Sally Bevis (Huntington, N.Y./North American Hockey Academy) tallied 36 saves in the contest and raised her save percentage on the season to .931. Freshman Ryann McCarthy (Lombard, Ill./Team Illinois) was in goal for Lake Forest on Sunday and stopped 29 of 32 Eau Claire shots on goal. A power play goal by Wilson started the scoring for the second day in a row. Her team-high 12th goal of the season was assisted by Snowden and junior Allison Rushing (Seattle, Wash./Seattle Admirals) at the 7:20 mark of the opening period. The Foresters doubled their lead at 17:08 on an unassisted shorthanded score by DeHoey, her 10th goal of the year. A power play goal by Eau Claire at 5:22 in the second stanza and an even-strength score by the home team with seven seconds remaining in the period tied the score going into the third. After the Blugolds took the lead at 13:39, the Foresters drew even just 93 seconds later on junior Devin McGuires (North Truro, Mass./Groton School) second score of the season. The final goal of the game was assisted by junior Amalia Vriend (King City, Ont./Markham Stouffville Stars) and freshman Samantha LePicier (Williamstown, Mass./Mt. Greylock H.S.). Lake Forest will play a pair of exhibition games against Robert Morris College at home next weekend (January 27-28). The teams will face off at 2:00 both Saturday and Sunday.